We have considered ourselves a holistic-minded family for quite a few years now. I remember back when our little ones were babies and my husband and I were both working full time and traveling with our careers. I remember staying up late hand washing fresh, organic spinach, then chopping and lightly steaming that spinach so I could prepare tiny ice frozen cubes of the best produce I could get to send with our babies for their day care lunch. A lot has changed since then, but we still try to do our best to provide healthy meals and a wellness-focused, Christ-based lifestyle for our "babies". Last year we started sharing about one of the tools we use in our wellness-focused life - Young Living Essential Oils. Wow! Has it ever been an amazing year of business and personal growth. 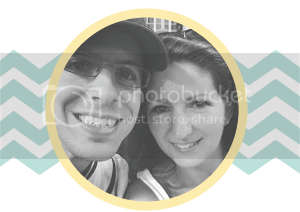 I had no idea that sharing a few simple testimonies would open the door to an amazing business. Learning to keep up with an ever-growing business, while maintaining relationships, homeschooling, and all the other things we are passionate about in life has been the biggest opportunity for personal growth. I can't think of a bigger personal growth accelerator. One of the things that I wanted to tame is how the business can take over my small office area. I don't have a bunch of paperwork, inventory or "stuff" to keep track of, because this business does not work that way - Praise the Lord! But what I do have I like to keep accessible and organized. I also like to keep it mobile because we are an on-the-go family. It's so easy to meet a friend for tea before I pick up groceries or while the kids are at gymnastics, so I like to have a small class-on-the-go bag ready so I'm not spending time gathering things. 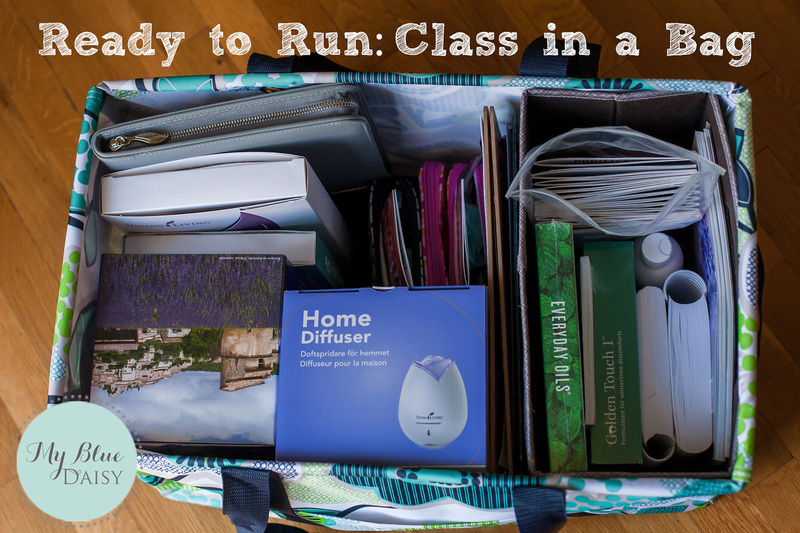 I also love teaching essential oil education and make and take classes, but again - as a busy mom I want to be efficient with my time so I am not spending time gathering items. 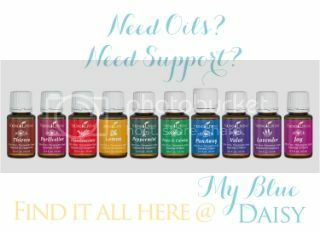 We LOVE our oils and we are constantly amazed at the power behind these essential oils that God created on the third day, but I can't effectively share about these oils if I'm constantly looking for my pocket reference or my keys. So this is how I got myself organized this month. 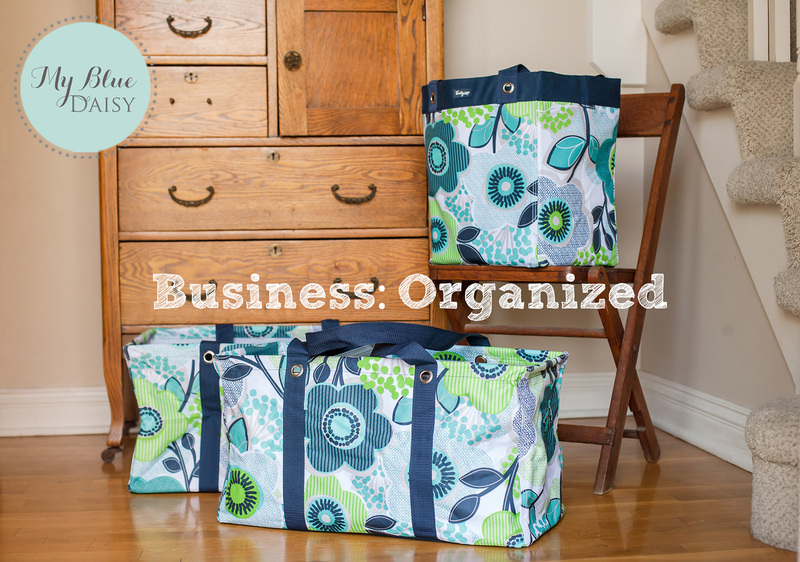 And yes, most people would get organized BEFORE they started a business. But we didn't intend to start a business, we were just sharing about what we loved. 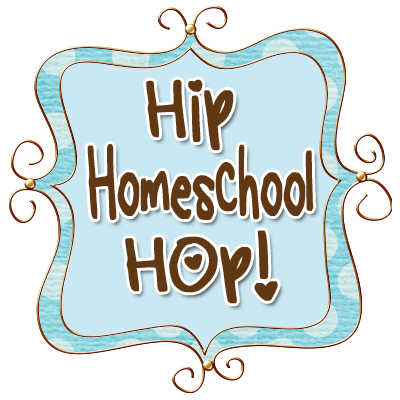 And so here I am a year later trying to get organized so we can reclaim our homeschool room for it's intended purpose - housing incredible books. I set up class bags. That's it. It's that simple. I can get most everything I need for just about any type of class into two bags. Granted, they are sturdy and have pockets. But it all fits and doesn't look messy. 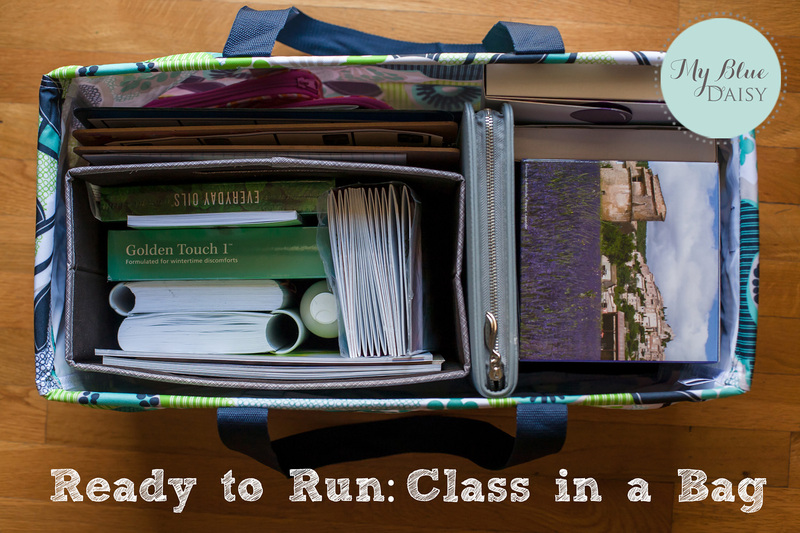 I can set these bags onto a shelf or closet in the room we have designated for business use and I'm ready to run. Here is what I assembled to make my business ready to run. 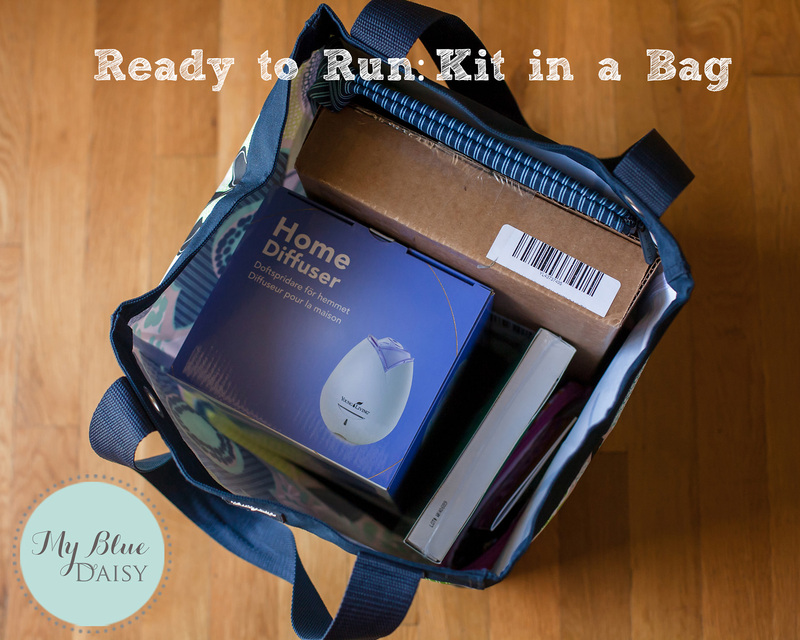 This bag (Thirty-One Essential Storage Tote) contains the kit / kits that I have on hand for local friends and family who need oils and diffuser urgently. It also contains a cute little "welcome to the oily family" gift. Golden Touch Kit - because everyone needs to know about DiGize, right?? Lavender Lotion - because it's awesome. And then there is a little room left over for anything else I might want to take like a new Premium Starter Kit, maybe some Ningxia Red to share, or a laptop. The Starter Guides, Product Guide, and anything else that is paper is kept secure in a Fold N' File to prevent any bent pages. Love that thing! 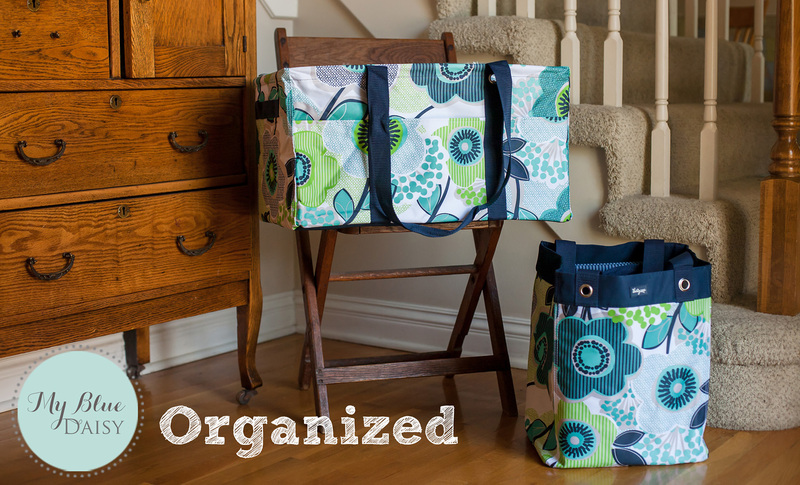 This is a smaller version of a "Class in a Bag" using the Large Utility Tote from Thirty-One bags. I put this together to show you how well it fits. This bag will actually become my home supply storage bag and will be kept up on a shelf in the office. It will be holding (in more Fold N File containers) note cards and envelops to send gifts and cards to friends. There is also plenty of space to store supplies to make Epsom salt gifts and roller bottles. Sweet! All gathered together... we are organized, ready to share, ready to run. I love it!! If you love these bags, too, please consider purchasing from this online fundraiser party. This party closes at the end of April. And in April - personalization is only $3.50 for each item. Thank you so much!! And if you need oils (or just more information on essential oils) - use the link at the top or email me at mgeis01@gmail.com. We have a wonderful, supportive team to help you whether you are interested in a healthy lifestyle or in a home-based business. We LOVE what we do and are always looking for more amazing people to share with. Be healthy, befficient, be organized, be successful - all so you can spend more time doing the things you love. This is great and those bags are gorgeous! Now that I am doing a few classes here and there I really need to do this.